Ouragan Pulling Team stops ! 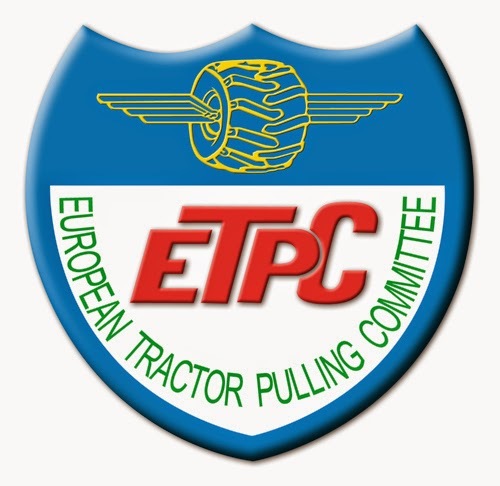 Sad news for the European Pulling sport. 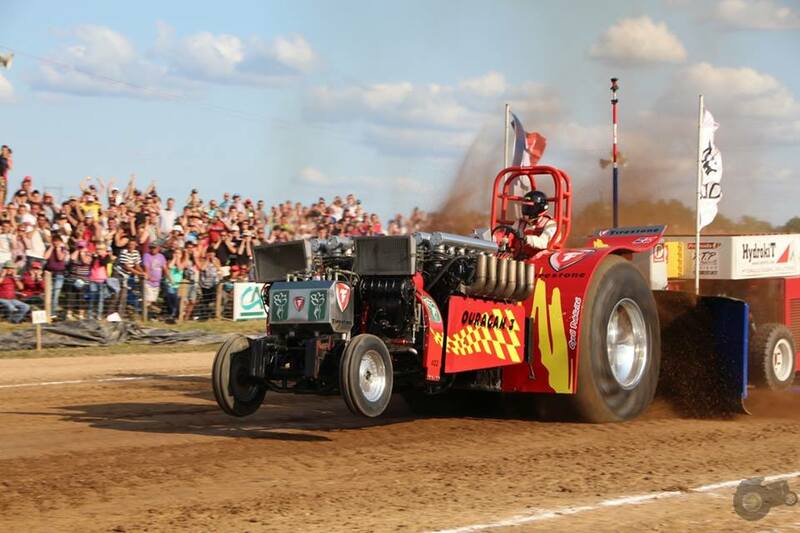 The Ouragan Pulling Team from France stops with Tractor Pulling after more than 25 years. 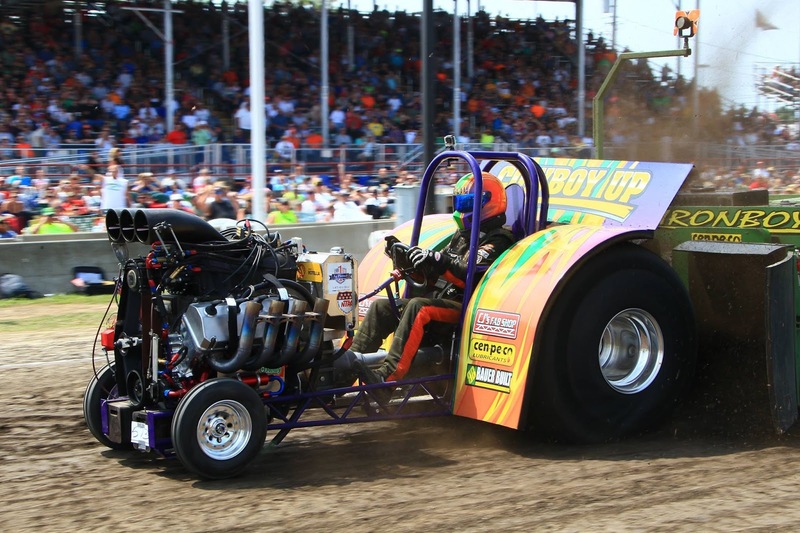 The French Team around Freddy Launey has decided to retire from the active part of Tractor Pulling, because of too much work on the farm and the resulting lack of time. The twin RR Griffon V12 powered Modified Tractor called ,,Ouragan 3´´ and the Truck with the Trailer are for sale. The Danish Mini Rod Tractor called ,,First Choice´´ was sold without the Chevy V8 engine in Denmark. The new owner of the Chassis with the Cepek tyres isn´t known at the moment. The Green Monster Team from Füchtorf in Germany has a new website with a new design . This evening at 21:15h Tractor Pulling will be back on DMAX! No, not a repetition of "Full Pull, but at "Die Modellbauer - Das Duell". 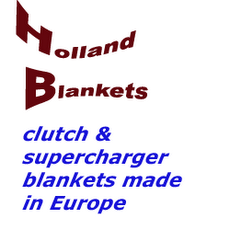 It's a german broadcats but should be very interesting for all who receive DMAX. And even if not you will be able to watch it later at the internet, i think. 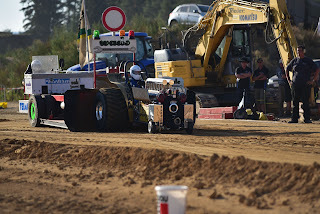 Jan Bernd Peters and Andreas Lubbers (Team X-Treme, Anholt, Germany) builded a Micro Green Gangster Deere for the 3.5 & 4.5 kg Super Stocks for these TV-Series in 150 days / 1220 hours. And you have to look very very close to se a difference to the original Green Gangster Deere from NL! All from germany and who else receive DMAX on their TV: This evening, 21:15, "Die Modelbauer - Das Duell"!!! This Video was made at the "Faszination Modelbau" Fair from a fans point of view. It's not part of the broadcast. 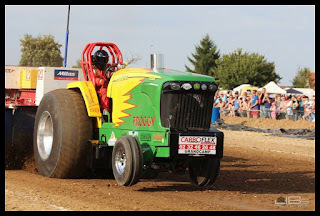 More like a "making off"
The former John Deere 8520 Pro Stock tractor called ,,Froggy´´ of the CDH Pulling Team from Bernay in France got some changes during the last winter. After many years in the Pro Stock class, the French team has decided to make a switch into the Light Super Stock class this year. 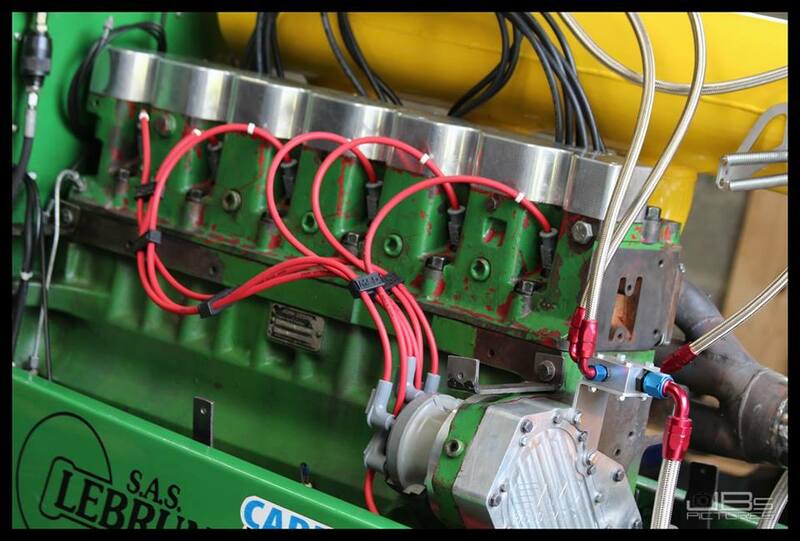 The 6 cylinder John Deere engine now runs on Methanol and has a Waterman fuel pump with a VSP (Veldhuizen Special Parts) injection system. Also, the cylinder head of the engine got some modifications. Each cylinder has 3 injectors and a spark plug. Also, the engine got a MSD 8 ignition. 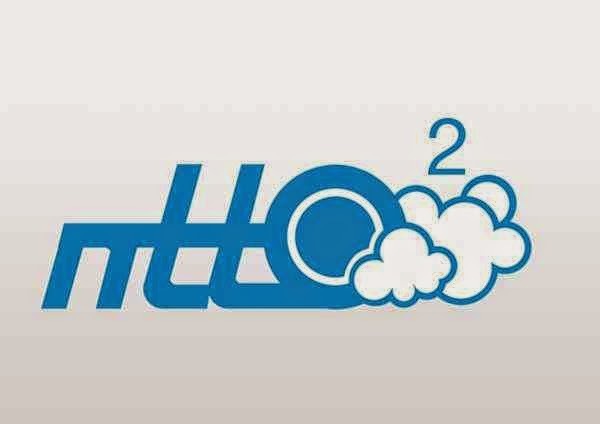 The billet Holset HX 82 turbocharger is the same as they used in the Pro Stock class. 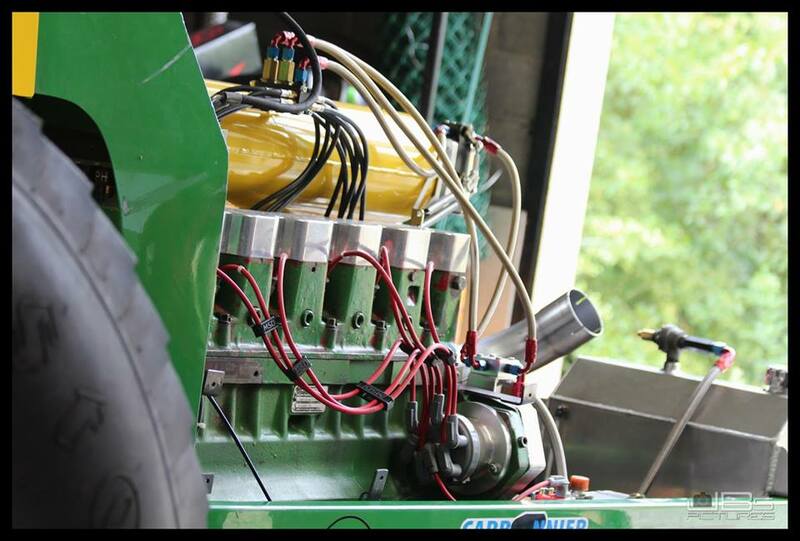 The first passes with the John Deere in Belgium and France on methanol went very well, after those changes at the engine. 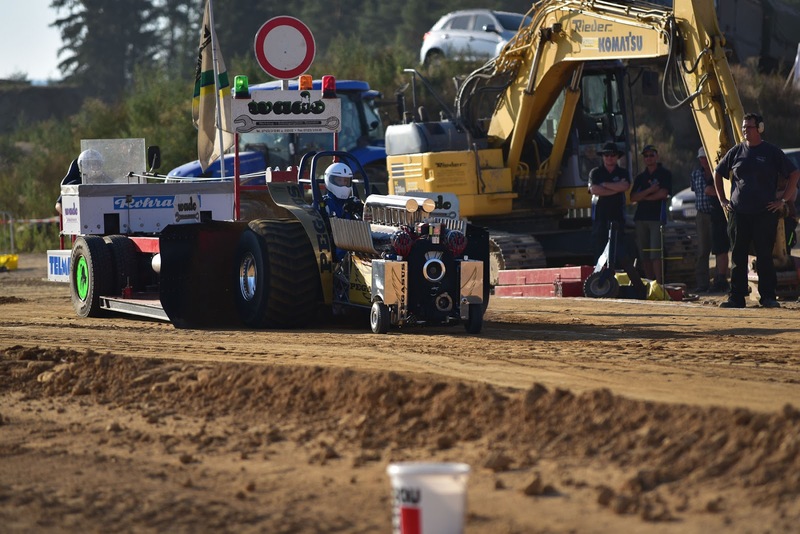 Froggy will not remain the only Light Super Stock in France. 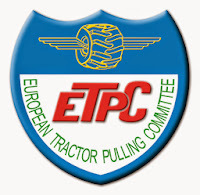 Two other teams from France are working on a Light Super Stock tractor at the moment, for next year. 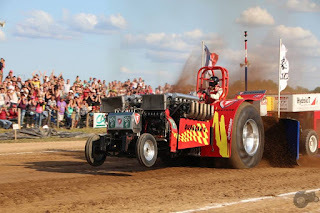 The CDH Pulling Team will compete with their Light Super Stock in the French Championship next year. 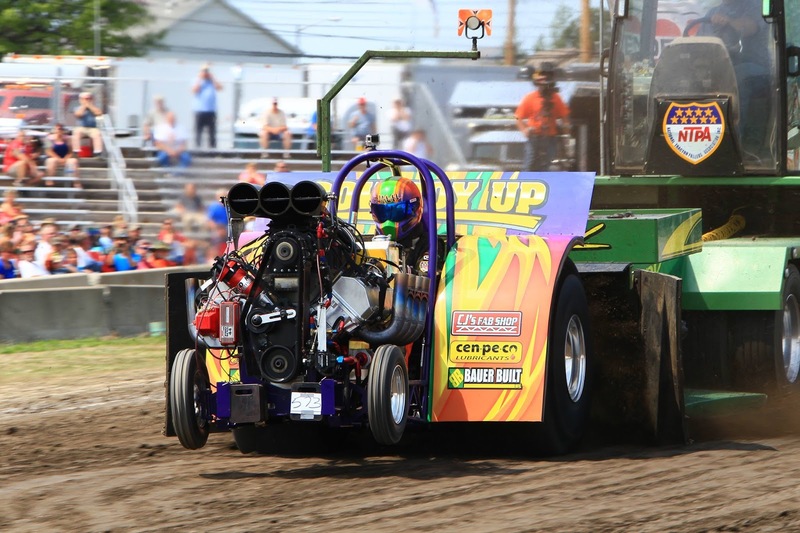 The competitors for the NFMS Pull 2016 in Louisville, Kentucky (USA) are known. After 2 years building, the new Mini Rod called ,,Pegasus Stage 2´´ of Karl Pühringer from Austria is ready. The Tractor has a 42CrMo4 tube frame with a Vreeman Iveco rear axle housing. Karl bought the old Reny´s Mission Impossible frame of Rene Geerts from the Netherlands. But, The Team modified the steering and the rear axle of the frame. The rear axle got newly homemade axle tubes and newly floating axles. The floating axles come from a Steyr Truck and were drilled hollow. 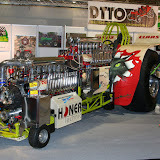 The gears and the Aluminium differential were bought by the The Challenger Pulling Team in the Netherlands. The Mini Rod has a modified 3 disc Crower clutch with a Browell clutch bell housing. But, the Crower clutch was damaged after the first run in Rappolz, Austria. So, the old clutch will be replaced by a new Eagle clutch this winter. The tractor has no transmisson, because of the weight. Also the frame was newly glass bead blasted and powdercoated. 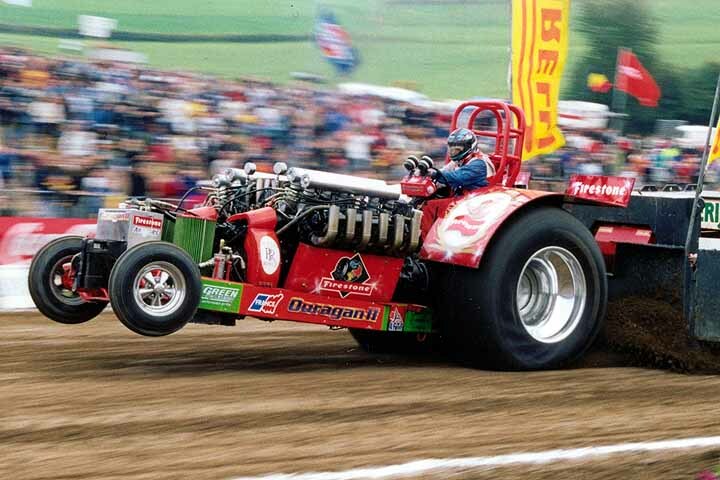 The Tractor is powered by a supercharged Allison V12 aircraft engine on methanol. 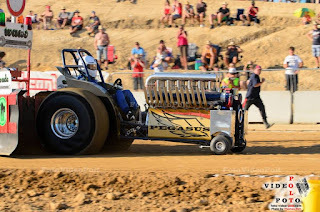 The team purchase the engine by the Popeye Pulling Team in Bladel, the Netherlands. After that, the Allison engine was completely revised. Because of the weight, the cylinder banks were milled down, the water jacket removed and the spark plugs exempted. The old heavier crank shaft in the engine was replaced by a lighter crank shaft from the Green Monster Team in Germany. Also, the intake manifold and the methanol injection system was rebuilt with some new parts on the engine. The fenders of the new Pegasus Stage 2 are made from Aluminium. Finally, the Mini Rod got a set of new rims with Cepek tyres from the USA. 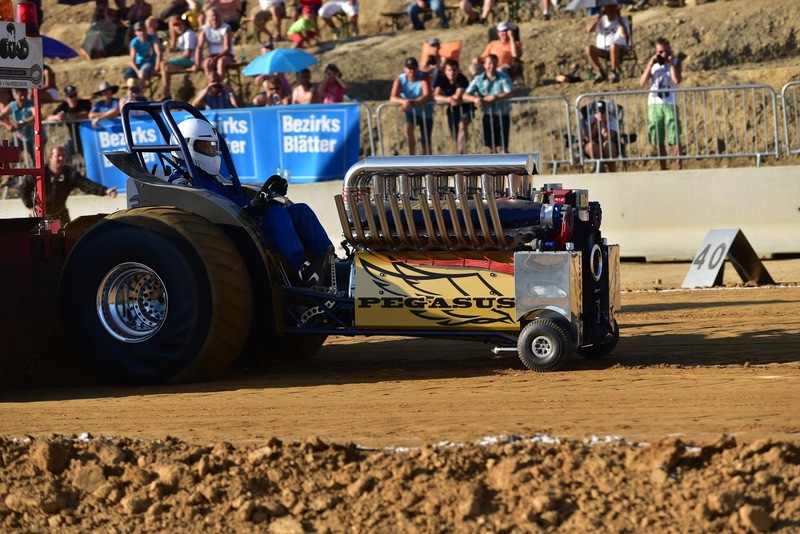 The Tractor had his maiden run in Rappolz, Austria in August, this year. The first pass was not bad but, the Allison engine got not enough fuel and ran too lean. 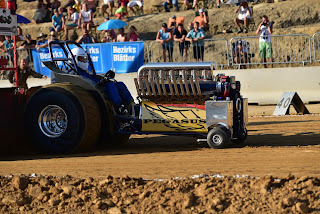 A second run wasn´t possible due to the too high engine temperature and the damaged clutch. 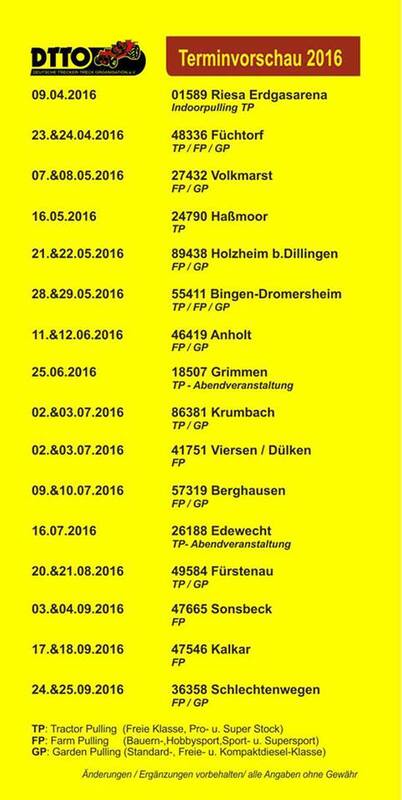 The Pegasus Pulling Team will compete in the Austrian Championship next year. 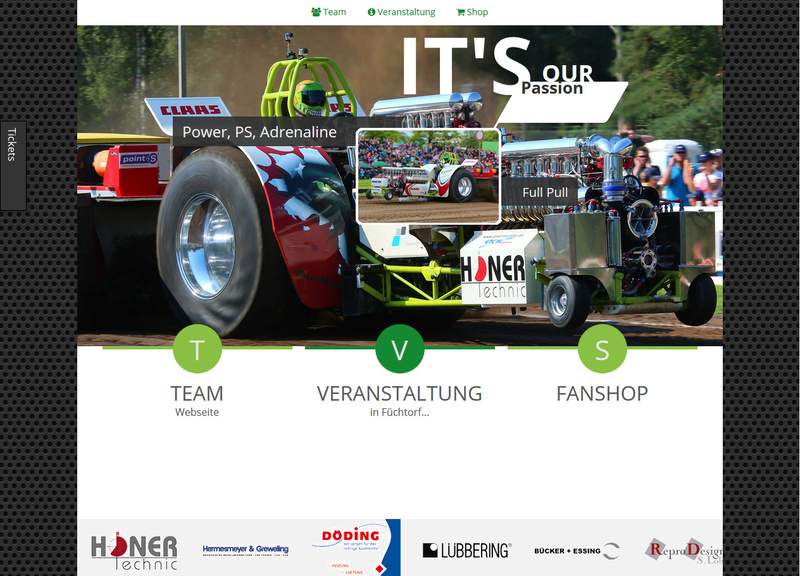 the Green Monster Team from Füchtorf in Germany ! I made a visit to the Agritechnica in Hannover yesterday. 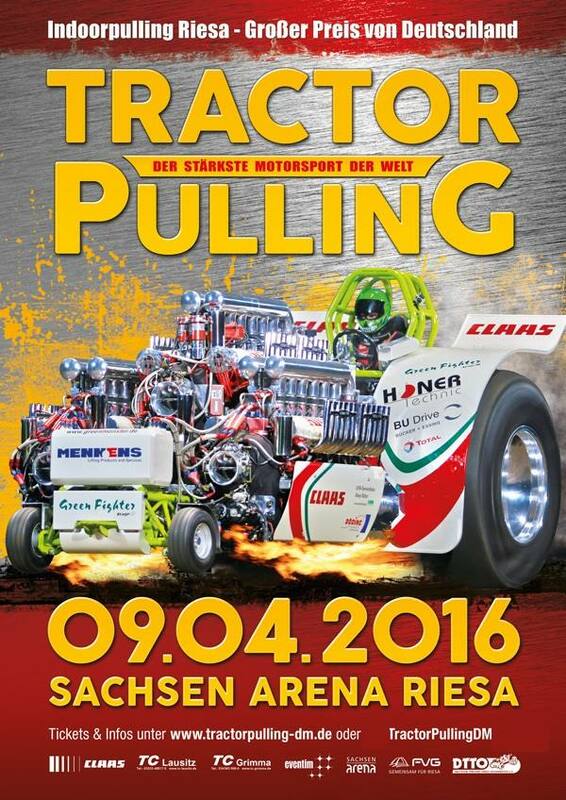 I also met some people of the European Tractor Pulling Scene on the Agricultural Machinery exhibition in Hannover, Germany ! Pullingworld.com has now a official fanpage on Facebook ! The WFO Pulling Team around Adam Bauer from Paton, Iowa in the USA have rebuilt their Mini Rod tractor called ,,Cowboy Up´´ during the last winter. The Mini Rod got a new tube frame with a new ROP and a new rear axle. The frame was built and constructed by CJ Herr. The planetary rear axle and the reverser were built by Bennie Vreeman (Vreemann Special Parts) in the Netherlands. The tractor is powered by a AJPE V8 Hemi engine. 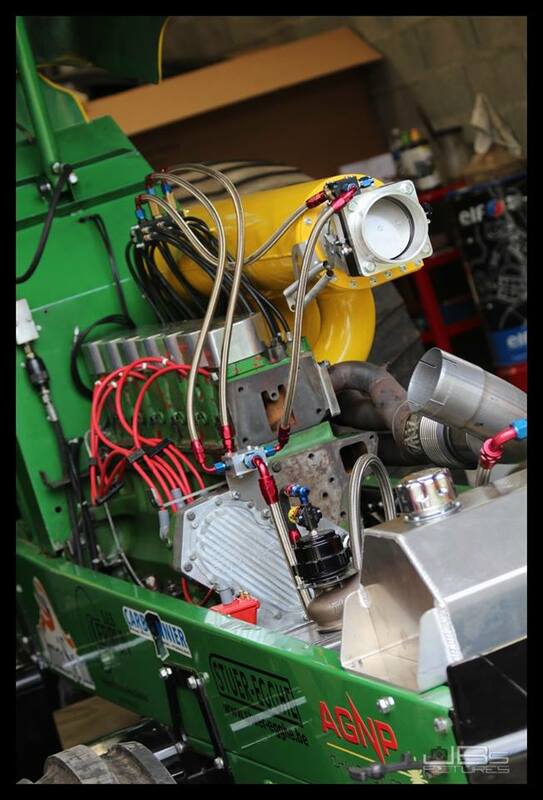 The engine has a DMPE 14-71 blower with a Carbon scoop and a MSD Pro Mag 44 ignition. The new fenders are made from Carbon Fiber and got a new design. Also, the tractor got a set of new rims with new Cepek tyres. 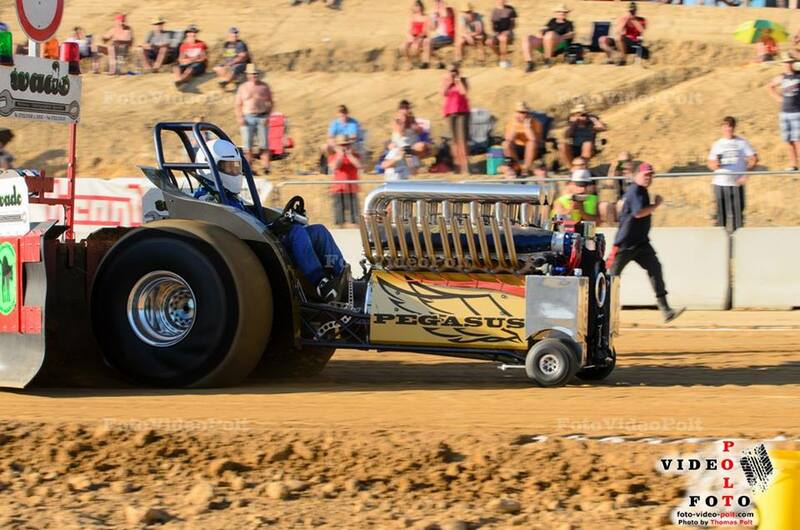 Adam Bauer won with his new Cowboy Up tractor both Mini Rod sessions and the ring in Bowling Green, Ohio (USA), this year.